You would be surprised how many businesses (even big ones) skip this step. Companies with a documented content strategy report better content marketing results. Jacqueline regularly runs content strategy sessions for businesses. The purpose is to determine the goal of your content marketing, the needs of your audience, your company’s unique value, and how all of these points intersect. If you need help putting that strategy into action, we have got your back. Jacqueline helps brands create thought leadership pieces, white papers, eGuides, videos, infographics, blog articles, and more. We create content for every step of the marketing funnel, including marketing brochures, case studies, and one-pagers. Video is one of content marketing’s fastest-growing formats. We handle every step of the video creation process. Together with our strategic partners, we offer both animation and live-action video services. Jacqueline helps B2B and B2C companies establish their brand voice, define their unique value, and convey these points consistently across all communication. Jacqueline can lead every aspect of your company’s next website project, or plug-in to your team as a writer or editor. Ghostwriting is a special art. You need to capture the unique voice of the people you write for, while expressing their thoughts even better than they would have themselves. Jacqueline has helped dozens of CEOs, founders, and senior-level executives write articles for media outlets such as Forbes, Entrepreneur, Ad Age, Adweek, ANA, Business Insider, Marketing Land, and many, many, MANY more. She has also ghostwritten and designed two self-published books. Jacqueline began her career in the publicity division at Penguin helping authors promote their new novels. Today, she advises companies on their PR strategies, writes press releases and handles distribution on the wire. She also partners with PR firms to build out thought leadership programs for their clients. Jacqueline spent the bulk of her career at Mediaplanet, a global content marketing house where she led the creation of independent magazines for distribution in major newspapers, including USA Today, Washington Post, Chicago Tribune, and more. Jacqueline now partners with publishers to help them assess, create, and launch branded content programs. Creating continuous content is hard and expensive. Jacqueline creates and implements training programs for companies that are looking to build their own content marketing machines. She also speaks regularly about content marketing trends and best practices. We enlist Jacqueline’s help with a variety of research, thought leadership, and marketing projects. We value her writing skills, but also, her deep knowledge about digital advertising, specifically mobile and adtech. Because Jackie has ghostwritten for many leading advertising executives, she has a truly unique understanding of our industry. On a personal note, Jackie is easy and fun to work with. 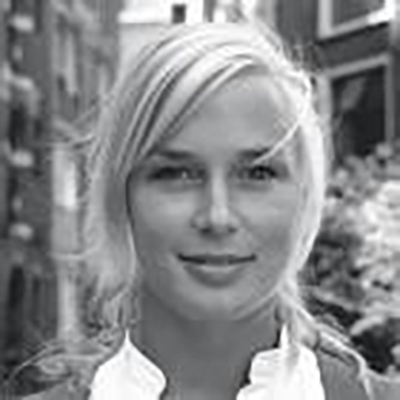 Kristiina Kansen, marketing director MoPub/Twitter, Inc.